I love eating tofu. With lemongrass, I can imagine this dish is so beautiful. I like the new look of your blog and also this tofu with lemon grass flavors. That looks simply inviting and yes, I am also another one who fancy using lemon grass for many of my cooking, the Asian touch herbs so easily available over here. Oh my goodness, Ridwan! This is such a delicious way of serving tofu! Love it! Never tried tofu before.. looks intersting! 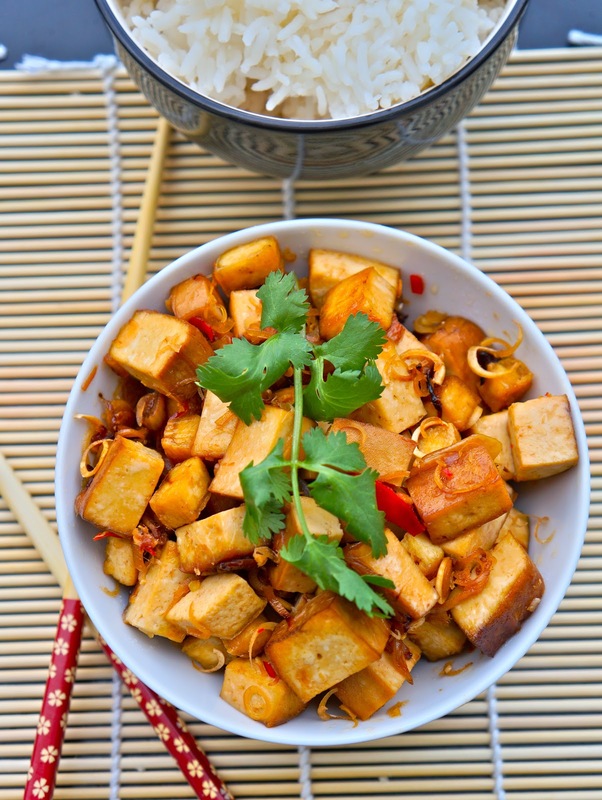 I need to jump on the tofu bandwagon...fried with garlic soy sauce sounds delish! Thanks for sharing the technique on this--I love fried tofu but have never tried to make it. Looks yummy! I'm farily new to cooking tofu, since for the longest time I couldn't stand it! I look forward to trying out this recipe.